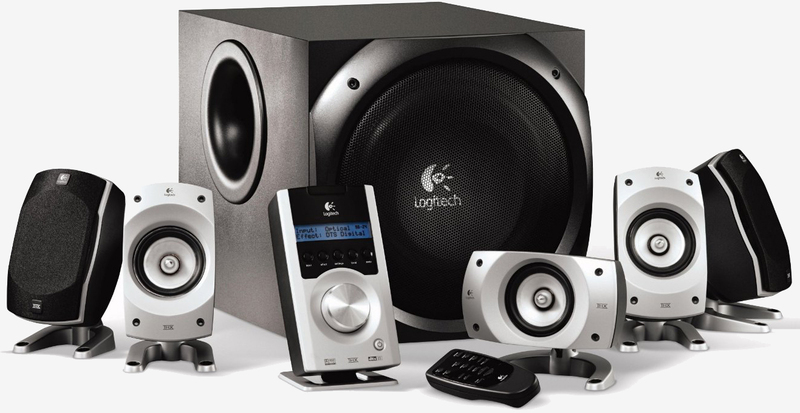 Open Forum: What desktop speakers do you use? One of the things I looked forward to the most after moving a few months back was being able to reconnect my 10-year-old Logitech G51 speaker system to my desktop (thin apartment walls forced me to exclusively use headphones for the past several years) and reinstall my dated SoundBlaster add-in card. The Logitech G930 headset I’d been using served me well but there’s just something about open-air audio that can’t be beat. With this week’s open forum, we’re curious to hear what speakers you’ve got connected to your computer. Perhaps it’s a set of iconic Z-5500s, some older speakers from Creative’s heyday or maybe a dedicated stereo receiver with some nice bookshelf or floorstanding speakers? Let us know in the comments section below! Corsair SP2500's, used but in mint condition. BMAN61, yRaz, slamscaper and 1 other person like this. A 9 year old Logitech X-240 set which still works well. I use BIC DV32s modified with Morel tweeters. They run off an SMSL SA50 amp coming from my ASUS Xonar sound card. It works and was affordable. Looking into near field studio monitors though. Still rocking out with the Z-5500s awesome system that just keeps on going. So glad I purchased these years ago. Satish Mallya and KiwiCant like this. Yup same. This actually caught my attention because it was the topic picture. 1 x BOSE Companion 2 Series III Multimedia Speaker System cost me a 100$ in 2015, they work alright, they never static out even when turned all the way up. Had them for over a decade still sounding respectable. Had to repair the sub with new caps once. dirtyferret, BMAN61 and Atomdrift like this. Mackie CR3 Special Edition. SE Mostly because I liked the gold trim a lot better than the toxic green trim. Speakers that have done me well for the almost 2 years I have now had them. I've tried everything else in the price range, and seriously nothing is close. Even if every other speaker in their price range was $50 cheaper, I would still take the Klipsch. A pair of JBl 305-s and an asus xonar dx. Really love these speakers. Should have gotten some other audio interface though, had problems with mobo electrical noises getting through the internal card. Fixed the problems, but it was a hassle. At the office I've got the Harman Kardon SoundSticks 3, they do their job but besides looking great, the subwoofer is attached to the bottom of my standing desk so that makes them even better. In my home office I've got a pair of Bose Companion 2 Series II, they've served me well for a few years. Over the years I've also gone through a number of Logitech's and the Promedias 2.1 with mostly positive experiences. Just like cameras in phones, sometimes the speakers you've got handy are the most useful, so having decent speakers on your laptop is also important. MacBooks do relatively well there, too. I have a pair of headphones with titanium drivers that can convert to speakers and back. They can get louder than most speakers systems with my JDS Lab The Element. Haven't needed a dedicated speaker system in years and it's a good thing, less clutter around my desk. The exact same comment I was going to put. The picture drew my attention, because I am also still using my Z 5500s. The best computer speaker system I've ever owned. A pair of DALI Fazon Sat with table stands. Connected to a separate AMP I've modified with new caps, new power supply and a general overhaul. You can never beat a couple of genuine hifi speakers and a quality amp. Logitech Z-680's I purchased in 2003. Still fare really well. Happy as peach. newcombcmb and jarql like this. Another person still using the venerable Klipsch Promedia 2.1. This has to be one of THE best investments I ever made years ago. They still sound EXCELLENT and are still worth the same amount of money I paid for them. It's really amazing how good they sound with a proper sound card. I've been using the Z-5500 since January 2007 still going strong. The light on the control unit is the only thing that failed long ago. None. I use headphones (not gaming nonsense either) exclusively on my two desktops. Speakers are meant to be used in the living/TV room as far as I'm concerned and that's exactly where mine are. Weekend Open Forum: What audio interface do you use with your desktop/laptop computer? Weekend Open Forum: What type of mouse pad do you use?